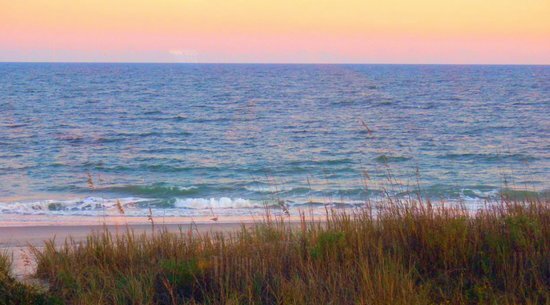 The Grand Strand and Myrtle Beach have literally thousands of restaurants, but when you schedule your beach vacation, you’re probably going to start craving seafood. 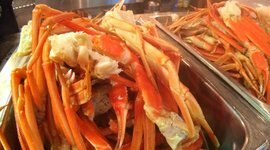 I’m often asked which establishments are the best Myrtle Beach seafood restaurants and my answer is always, “it depends.” Are you looking for a seafood buffet or gourmet dining experience? Are you looking for a view? When thinking about my list of best places to eat in Myrtle Beach, quality and freshness are the most important factors. We’re right by the ocean, so overcooked, frozen seafood isn’t an option. I’m also a fan of restaurants that put extra love into their cooking. 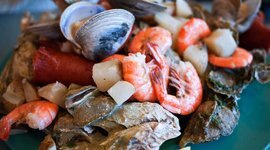 With these things in mind, I’ve put together a list of my seven favorites seafood restaurants in Myrtle Beach and the surrounding areas. Mr. Fish really knows seafood! He spent the better part of 30 years as a fish dealer on the Grand Strand. That was until he and his daughter teamed up to create a restaurant that serves only the freshest fish, cooked to perfection. Their food is more than you’d expect – not just in quality but in portion size. Mr. Fish has a robust daily specials list with creative options to make your mouth water, but they knock it out of the park on the traditional favorites, as well. Their fried seafood is only lightly battered and their steamed and sautéed entrees aren’t overcooked. And their sauces? Amazing! I’m convinced that if this Myrtle Beach restaurant bottled its Boom Boom sauce it would be a hit nationwide! 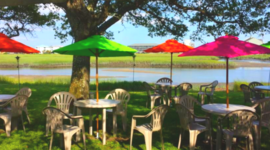 Whenever I pose the question, “where are the best crab cakes in the Grand Strand?” the answer is unanimously “Salt Water Creek Café!” Located in Murrells Inlet, this Myrtle Beach seafood restaurant has a beautiful, but laid back beach house décor and an extensive menu. Their crab cakes are, indeed, the best I’ve ever eaten. Their shrimp and grits are another favorite. They’ve also got fresh sushi, prepared to order. When the weather permits, there’s great outdoor seating. Salt Water Creek Café serves lunch and dinner daily, as well as brunch on Saturday and Sunday. It’s a beautiful restaurant in the Myrtle Beach area for drinks, a snack, or a night out with friends and family. Be sure to check out their daily Blue Light Specials for amazing food at a great price. “Calabash” is a style of cooking where the food is prepared lightly breaded and deeply fried…and it’s delicious! 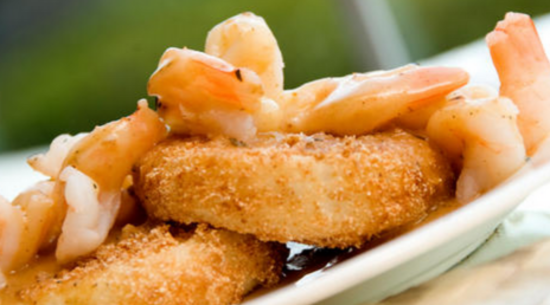 The Original Benjamin’s Calabash Seafood is a buffet where you can eat to your heart’s content. With more than 170 items to choose from, you’ll get everything from steamed crab legs to vegetarian and land-lover options for a flat price. Benjamin’s is a locally owned seafood restaurant and houses a stunning collection of nautical artifacts. There’s even a model ship builder on staff with whom you can visit and see his intricate masterpieces! For the kids they have a nautical play area with a fish tank, hand-painted murals, and activities. 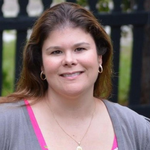 This Myrtle Beach restaurant is about the food and the experience! Benjamin’s is located on Restaurant Row in Myrtle Beach and situated on the Intracoastal Waterway with amazing views. Open seasonally from March to November, Sara J’s is an institution in Myrtle Beach dining. When the weather permits, this seafood restaurant offers indoor and beautiful outdoor dining space that overlooks the inlet. The right dining time gives you a golden sunset with sweet, salty air. The food at Sara J’s is a collection of light seafood classics like oysters on the half shell and hearty dinner options like the Angler’s Seafood casserole with shrimp, scallops, stuffing, and swiss cheese. They’ve also got a personal sized low-country boil consisting of shrimp, sausage, corn, potatoes, and clams. Gulfstream Café couples fresh seafood with stunning views of the inlet on the southern end of the Grand Strand. 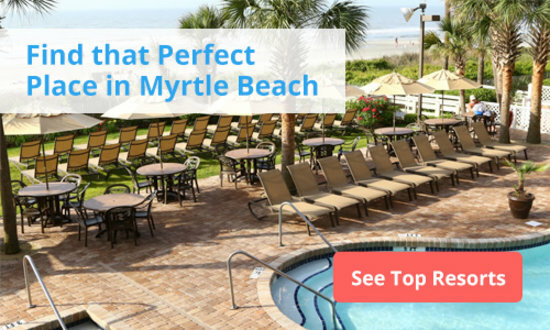 This Myrtle Beach restaurant offers indoor and outdoor seating and is open year-round with a killer sunset view! The menu, while limited, has several standout options, including an all-seafood selection of appetizers. Our favorites are the Firecracker Prawns and Oysters Rockefeller. They’re both rich and indulgent! Entrees include fried fare and other delicious choices, with several options for non-seafood lovers. Seafood for breakfast? Yes, indeed! The historic Sea Captain’s House, located in the heart of downtown Myrtle Beach, is situated on the oceanfront and serves breakfast, lunch, and dinner daily. Their breakfast menu includes two of my favorite dishes in the entire area – the Seafarer Omelet, which is loaded with shrimp, crab, mushrooms, scallions, and cheese, and the Crab Cake Eggs Benedict. Who needs an English muffin for the base of this dish when you can set those eggs on crab cakes? Delicious! Beyond a delightful, and long, list of fresh options from the ocean, the Sea Captain’s House also has gluten-free and vegetarian menus to suit diners with dietary restrictions. And last, the scenery at this Myrtle Beach restaurant is brilliant. Almost every table offers dazzling views of the big blue Atlantic Ocean. How does blue crab fondue sound? 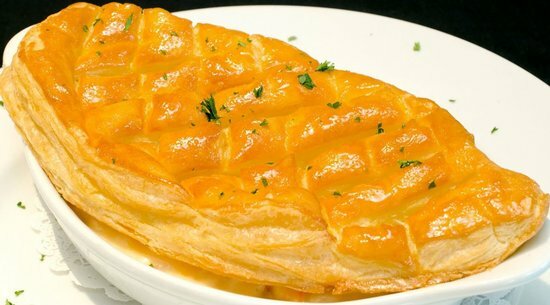 Or lobster pot pie? How about Shrimp & Scallops Carbonara? They’re just a few of the unique options available at the Hot Fish Club. All made with fresh seafood and an attention to flavor, the menu is full of delights from the sea. The atmosphere is casual and the cocktails are just as good as the food. When the weather is nice, you can head out to the gazebo in back for food, drinks, and live music. It’s the perfect place to enjoy dinner with the family or drinks with friends. Rich and indulgent seafood mixes nicely with sunsets over the inlet. Blue crab fondue, lobster pot pie, Shrimp & Scallops Carbonara, these are a few of the decadent creations here. On nice days they have live music in the gazebo. "Mr. Fish" sold fish on the Grand Strand for the last 30 years. He took his love of perfectly fried fish and put it into this fantastic Myrtle Beach Restaurant. Their crab cakes and shrimp and grits are to die for. This laid back beach house does it right. Come here on a warm evening for a golden sunset and the scent of sweet, salty air. 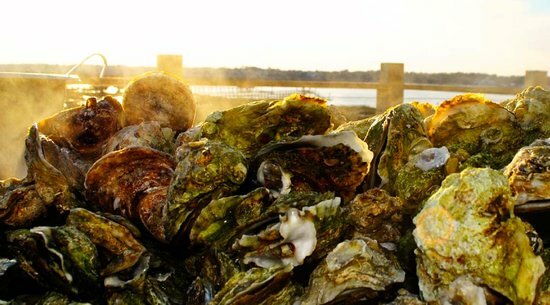 Try the oysters on the half shell or the classic low-country boil. A historic restaurant in the heart of downtown Myrtle Beach, they even serve breakfast. Get their Crab Cake Eggs Benedict if you're up for seafood in the morning. Lightly breaded and deeply fried, that's the "Calabash" way. This buffet is decorated to the teeth with nautical decor. They even have a model ship builder on staff.